Maroon 5 lead singer and The Voice coach Adam Levine has bought his bride, Behati Prinsloo, and their daughter Dusty Rose a new home in Los Angeles. The $18 million Holmby Hills house is spread out across 9,221 square feet. Levine got a good deal on the property. It originally went on the market nearly a year ago for $27.5 million. The house is invisible from the street as it sits behind a wall of thick foliage. The gated property features a long driveway that ends at a parking lot sized motor court. The home has five bedrooms and five and a half bathrooms. Adam and Behati's neighbors include Petra Ecclestone, who bought the former Spelling Mansion and has it now listed for $200 million. Architect Caspar Ehmcke built the home in 1966 in the French Regency style. The house features large carved doorways, coffered ceilings, a number of chandeliers, and black and white checkerboard marble flooring. Floor to ceiling glass sliders in the living room lead out to the pool and garden. Levine's new digs sit on 1.27 acres of land that borders the Los Angeles Country Club. 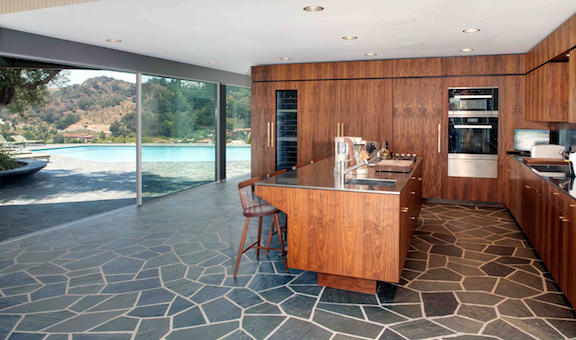 The home also has a qua-trefoil shaped pool, cabana with wet bar, three-car garage, and two-story guesthouse that would make a perfect recording studio for Levine. The property features a large but outdated kitchen with a massive center island and skylight. The breakfast room/solarium has a semi circular wall of windows. The home also has a walk in wet bar and den with built in bookcases. 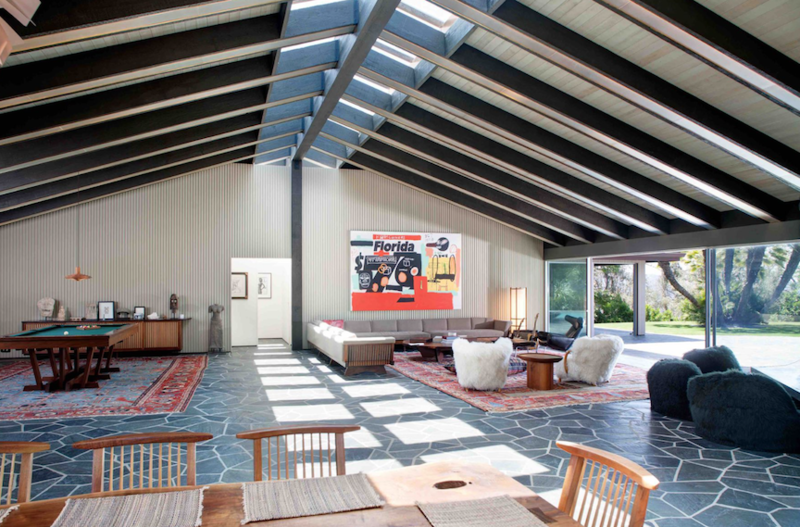 Levine's former residence, a 5-bedroom Beverly Hills home is still on the market. He purchased that property in 2012 for $4.83 million and did extensive renovations. The home is currently priced at $15.95 million. Adam Levine and his wife Behati Prinsloo sell their Holmby Hills mansion for $18 million- just 5 months after purchasing it!